The final Spanish PSX game has been dumped and submitted to redump.org! It has been a long journey to preserve PlayStation's legacy in Spain, with the final touches being completed by diego-rbb-93 and his friends. Huge thanks to EOL (El Otro Lado forum from Spain) we couldn't have done it without you! The final PSX Spanish discs have been hunted for months via ebay, localized Spanish eshops, forum posts, Facebook groups, and a lot of reaching out and hunting. With the completion of the Spanish PSX set, it is important to recognize how vital hunting down regional games within a nation can be, and how important local help is. Spain is proud of you today, and so is the world's preservation community diego-rbb-93! "I want to express all my deepest gratitude to all those users in Spain that put their efforts to make this become a reality. I couldn't have started this without my mate YuPiKaIe sending me his Plextor without even knowing me. The same with Salvor70, mod over EOL, to push and support my call over the forum. Users like Giru85, Kaiser-77, Lolezno, MioCid, Nexus32salva, Rats_1990... among a lot of others names over EOL that has been supporting the projecat, I can only say THANK YOU, thank you so much. Of course, I need to mention Javidelarosa and all those users behind me that have been making this collection a long time ago, I've only wanted all their efforts to have a real meaning and honor them. One is my friend AlMagno, whose arrival supposed a 360º turn to kill the most expensive missings and has been (and will continue to be) a great partner on this project and fundamental KEY for making the Spain PSX Preservation to become a serious project that is going to start really soon. 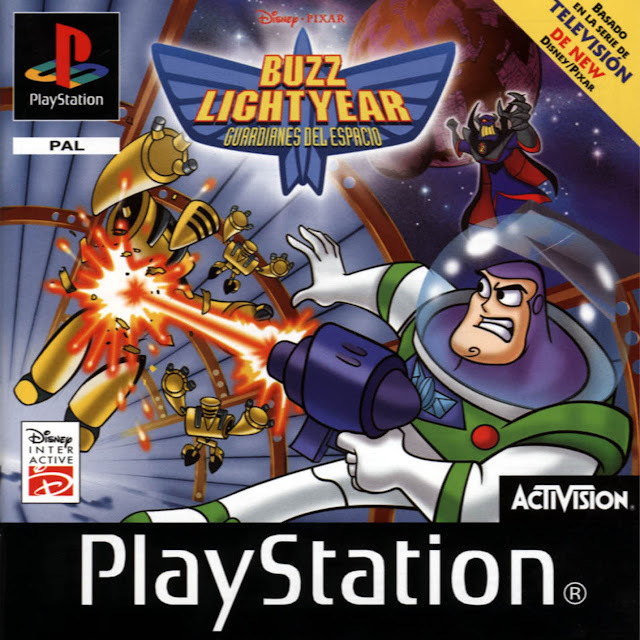 The other one is Heideger27, from Emudesc forum, who's help has made possible to cross off the list the last two missing games, Hugo 2 and this Buzz Lightyear. As well, he has made possible to end the Spain PS2 part, but that's an announce that will come soon too. To end my note, I want to make sure that the passion and inspiration that dizzzy put on me since the moment I stepped on Redump having no clue about to make this possible, was totally necessary to make go this far. It should make us all thing how its possible that someone from USA was more worried about helping Europa on PSX preservation than ourselves. To be honest, I never wanted to end the list as i never had in the beginning, the necessary resources to do it. So this was a great triumph achieved only by team work. Congratulations! What lies ahead in the horizon, is trying to help my great partner JhMiller, who has saved my as* a couple of times over this months, on a really beautiful project: End the Redump Dreamcast PAL set. PS. Please, as always, I encourage all the people all over the world to keep making your part over PlayStation preservation with the PSXDatecenter from our great Spanish partner Gladiator. Please, contribute to make sure all that media around these games is not lost."